When I first started teaching I loved getting "my" classroom ready. I bought all kinds of cutouts for the walls--theme based and visually appealing and all pre-made. Now 25+ years later I do still enjoy getting our classroom ready, but at this point all I'm doing is organizing and looking for ways to allow students to collaborate during the first few weeks of school to create our environment. When I created the environment and it was totally ready and "done" when the kids came to school on the first day my kids still learned--it didn't hurt them. Now, I spend my time looking for ways to allow students to work together to create our environment. They feel more ownership and become a community much quicker than when I prepared everything. The first week of school we spend all of our time getting to know each other and creating places and spaces in the classroom. The agreement we come to about how we will 'live' in our classroom is created out of our discussions about how we can learn and grow with each other (many of our discussions stem from the books we are reading like Mean Jean the Recess Queen, How Full is Your Bucket, ...). We create a short bulleted list of some generalities that come out of our discussions through interactive writing. Interactive writing helps us to create so much of our classroom. We create a color/color word chart together, we Design and create a birthday chart, the alphabet chart, the beginnings of our word wall, the labels for all of our centers and classroom places (math, wonder table, abc center, library, book basket labels...), number/number word chart... We spend the month of September learning routines and procedures together and then creating charts to help us remember. Charts for how to talk about books, how to turn and talk, how to talk about our writing, how to share important information with each other--learning terms like reader and writer. It sounds silly, but young readers and writers have a hard time thinking about themselves as the writer or thinking about who their readers are as they write. Many of these discussions happen during interactive read alouds and shared reading of poems, big books, or during sharing time. 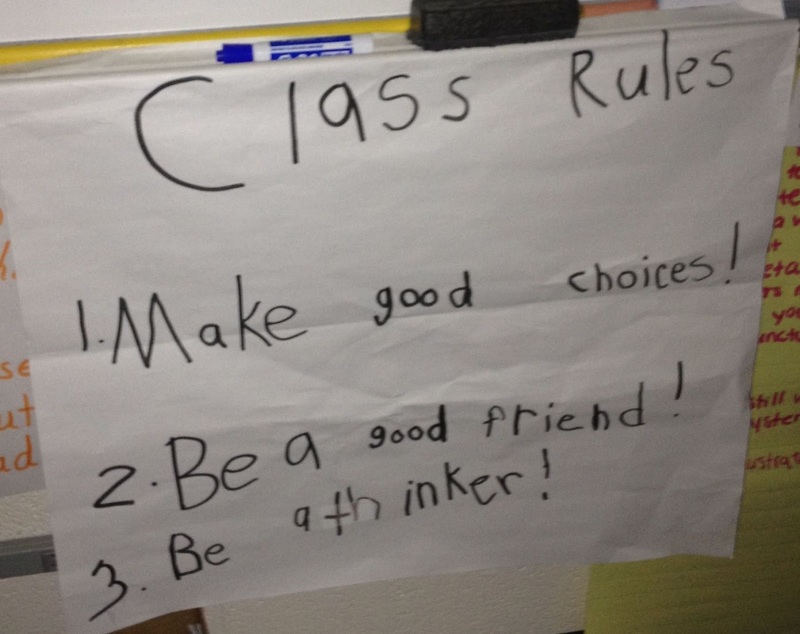 The charts we create together hold multiple roles in our classroom. They help us to become a community as we talk about and make decisions about many things that will be important to us as friends and learners. The charts also provide invaluable foundational literacy skills that each student will take from participating as part of a group, to small group, and to independence. The experience of creating these charts allow our students to feel connected to each chart, label, and creation on our walls. They want to read and re-read what we have done together. They also serve as resources and reminders everyday. 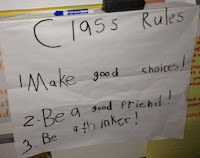 Lots of times in the morning students will come in and say, "Hey, Mrs. Horton I think we need to make a chart about...." or they actually create charts about things they think are important and share them with the group. I love when they can't wait to write!